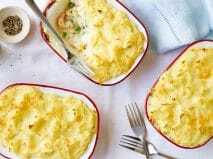 Brand new to the UK and guaranteed to bring limited-time luxury to mid-week meals, Idahoan introduces it’s delicious Creamy Dauphinoise and Cheesy Gratin Bake, straight from America’s famous potato state. Known as America’s best kept secret for over 50 years, the bakes are made from 100% Idaho potato, but dried before being packed with a special method to make a versatile bake that lasts, whilst retaining the best qualities of the potato. With a splash of milk and water, the potato is rejuvenated and British households can enjoy real meal time magic with indulgent, home-made tasting gratins, ready from pack to plate in 30 minutes without any effort! 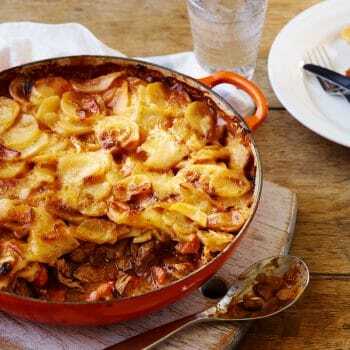 Little beats the French flare of a creamy gratin Dauphinoise when wanting a dish to impress. Unfortunately, with everyone being busier than ever, time is often as much of a luxury as the dish itself. But potato lovers, rejoice! Idahoan take away the hassle of washing, peeling, slicing, layering and baking, so with just a couple of minutes prep, the oven does the rest of the work to create a dish delicious enough for special occasion dining, but quick enough for a mid-week treat! The Idahoan potatoes are grown in nutrient rich volcanic soils quenched with mineral rich mountain water – the perfect conditions for growing the much loved tatty. Add in passionate farmers adopting a field to fork approach and a potato with superior taste and texture is produced. Then, dehydrated using Idahoan’s closely guarded unique method maintains their best qualities so a dash of milk, knob of butter, water and 30 minutes cooking is all that’s needed for perfect potatoes. Thanks to the clever dehydration method the bakes will stay in great condition in the cupboard, creating the ideal solution when a special meal is needed quickly. Both varieties are a perfect accompaniment to much loved chargrilled steak, stuffed mushrooms or baked salmon, the bakes will elevate mid-week meals to those dizzy dinner party heights. 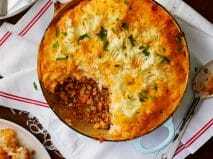 In addition to the bakes, Idahoan is also introducing a range of mash, using the same Idahoan potato but ready in just one minute, for ultimate convenience when time is tight. 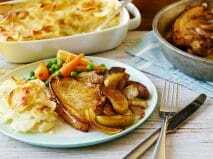 The mash is available in 5 flavours; classic, buttery, butter and herb, cheddar cheese and roasted garlic. Find the bakes in ASDA, Tesco and Ocado, priced around £2.30. The mashes can be found in ASDA, Tesco, Ocado and Sainsbury’s priced around £1.50 for the flavours and £2 for the classic. Idahoan was created in 1960 by a group of local, Lewisville Idaho potato growers, joining forces to start the dehydration process and making potatoes convenient and quick for busy households. The dehydration process is completely unique and remains secret, allowing a process which best preserves the natural qualities of the Idaho potato.